Home › Home News › Handwashing saves lives! 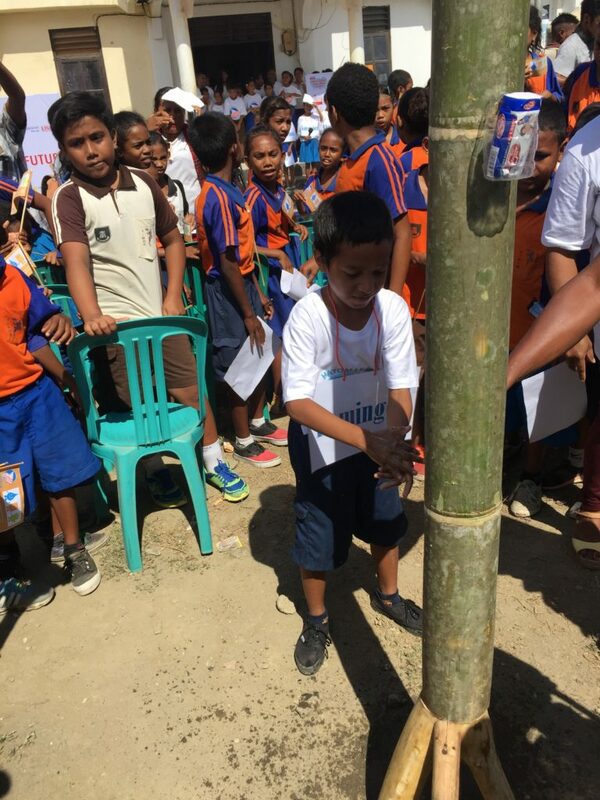 Mary Mackillop International (MMI) recently supported the Timor-Leste Ministry of Health and Ministry of Education for a Global Hand-Washing Day event that was held at Sede Suco Comoro on October 18, 2017. Other partners sponsoring the event included SHARE, UNILEVER, Water Aid, Health Net and UNICEF. At the event, MMI health trainers ran a variety of activities with students, including teaching them to sing the songs FASE LIMAN (wash your hands) and SOE FOER (rubbish disposal), and running health promotion drama workshops. 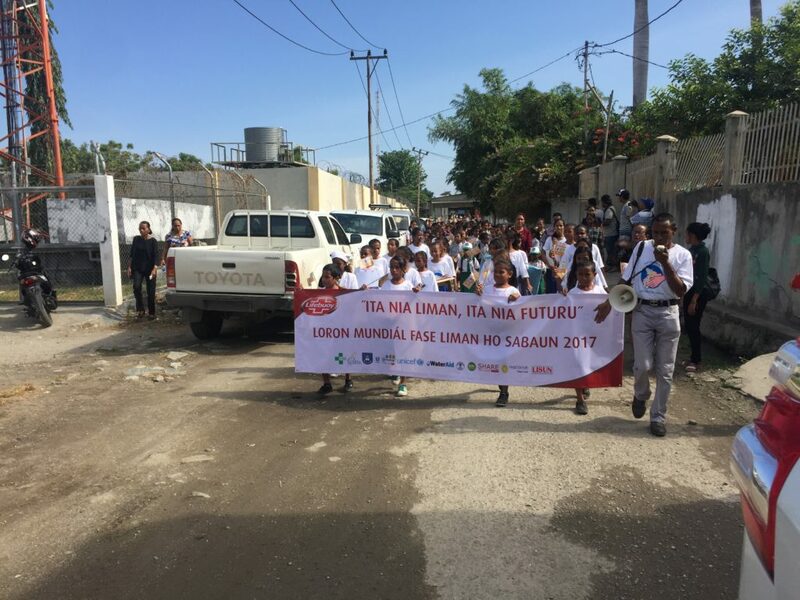 The event was attended by the First Lady of Timor-Leste, the Director General of the MoH and MoE as well as key health agency representatives, teachers, students and local authorities of Comoro village. The purpose of the celebration was to promote the best practice of washing hands with soap, with the slogan of the day being “Our Hands, Our Future”. This slogan aims to encourage children to be aware of the importance of daily hand washing to prevent illness and disease. This is important as Timor-Leste continues to have one of the poorest outcomes for health in Asia. Preventative diseases and conditions such as tuberculosis, diarrhoea and mosquito-borne diseases are all endemic, and basic sanitation and hygiene is lacking. Health assistance is limited and access to health resources is poor, particularly in the more rural and remote areas. The level of knowledge on preventative health among the general population is extremely low, leading to the high prevalence of many illnesses that could be prevented through a very basic knowledge of good health and hygiene practices. MMI’s contribution to health education in schools is paramount to combating preventable disease in Timor-Leste. Watch our video “Handwashing Saves Lives” showing our Health Literacy Program in Timor-Leste, where teachers receive training on how to deliver basic preventative health in the classroom, including handwashing! Help 5000 children get at book!